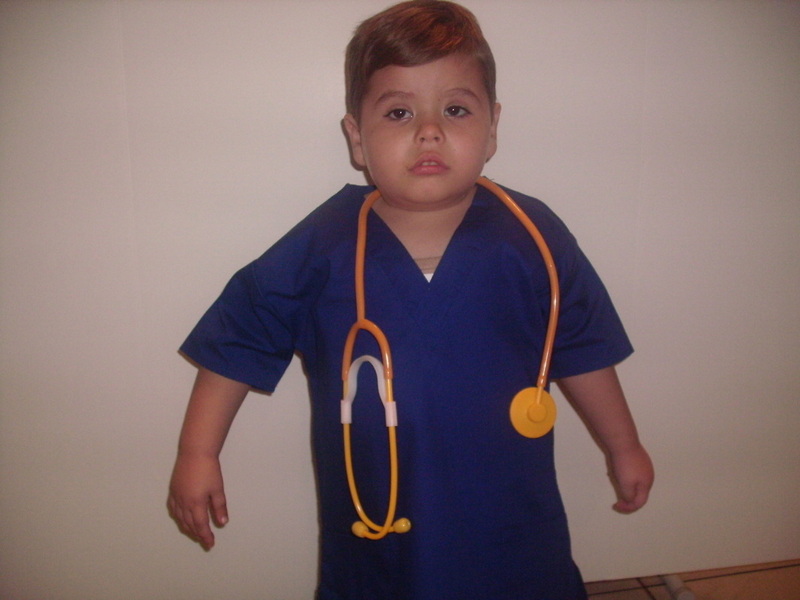 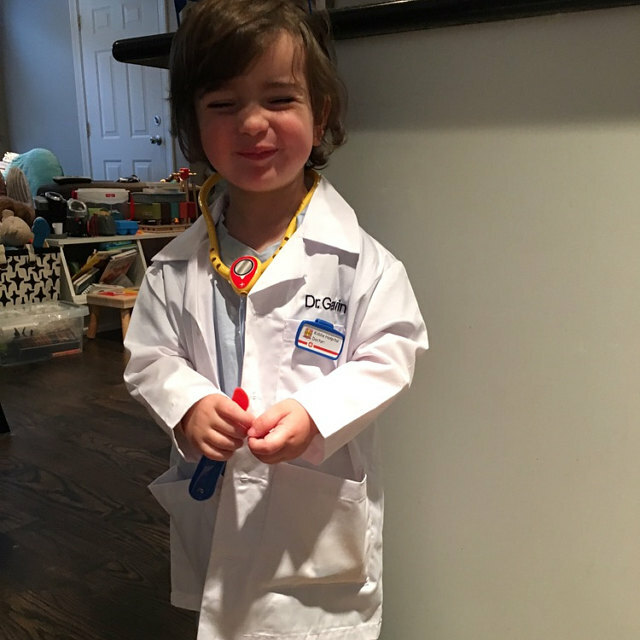 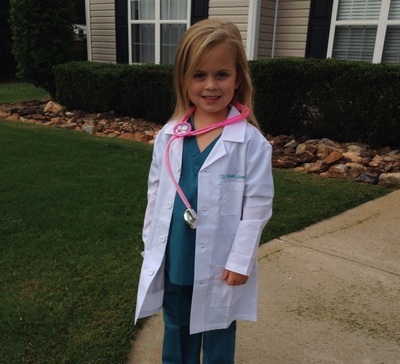 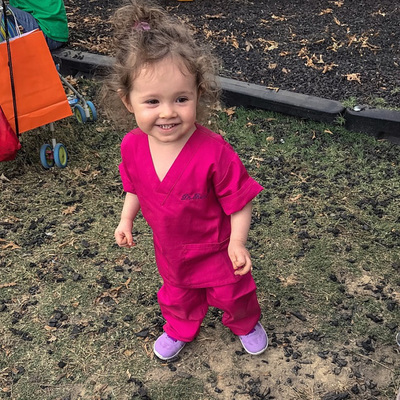 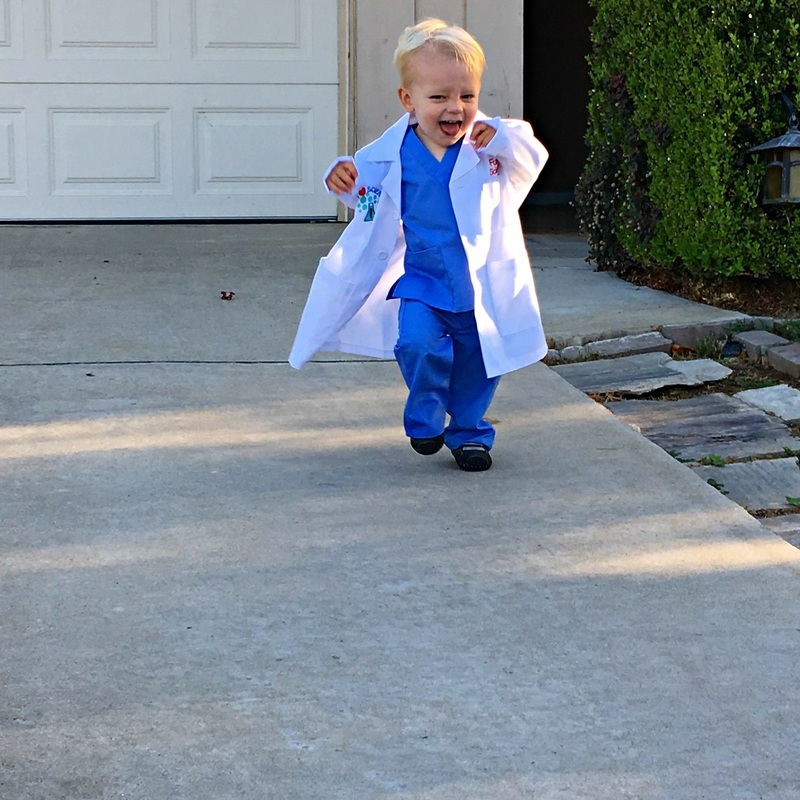 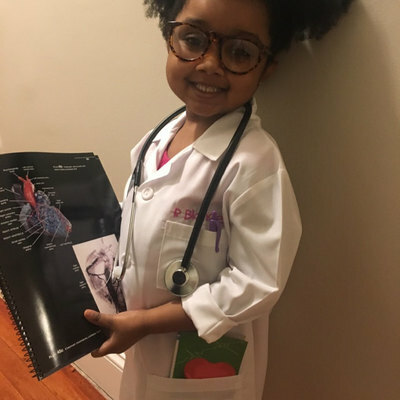 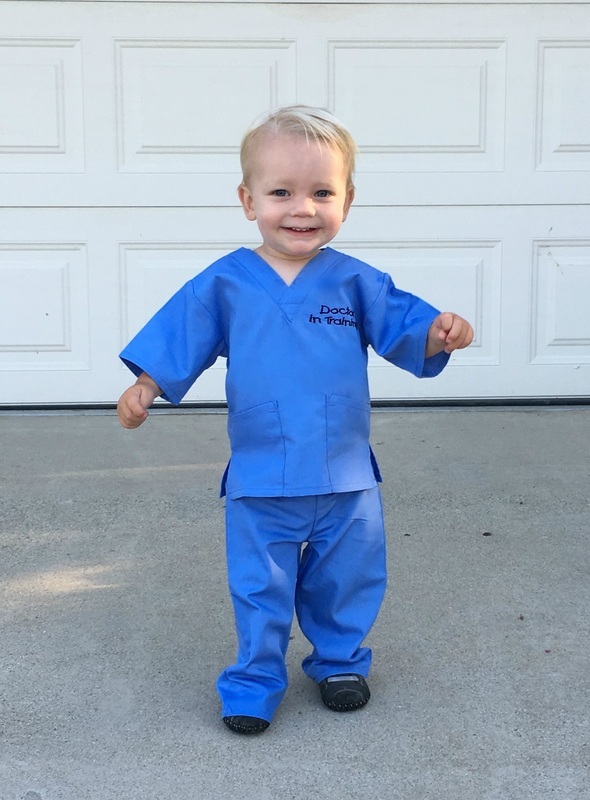 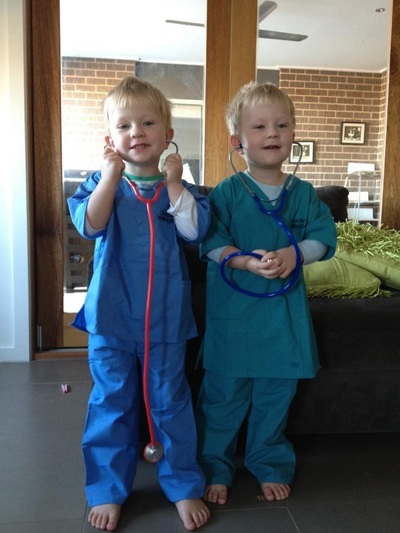 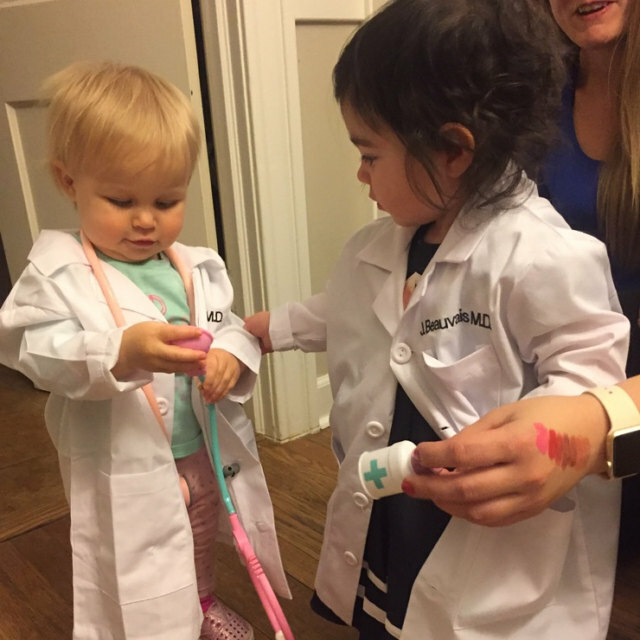 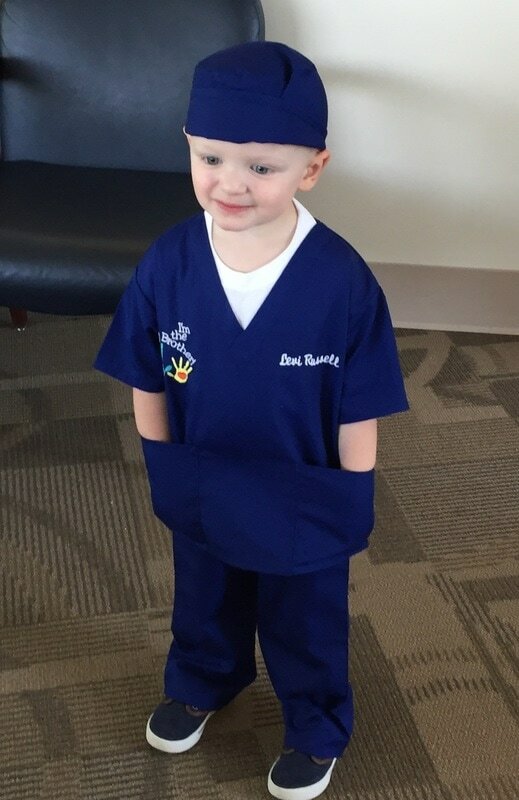 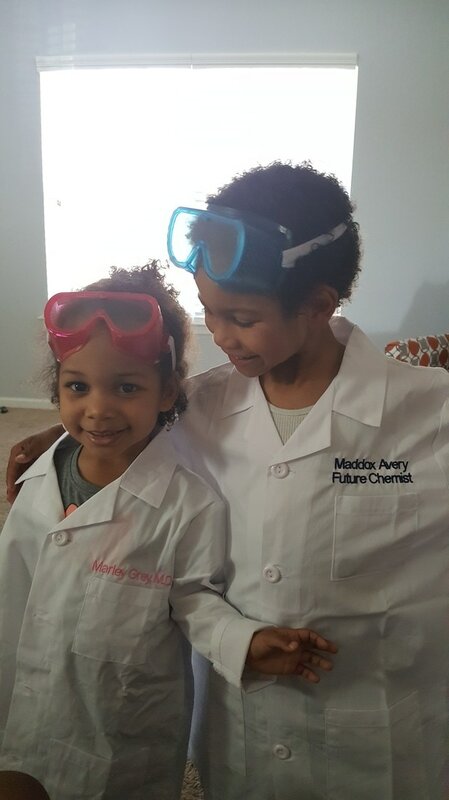 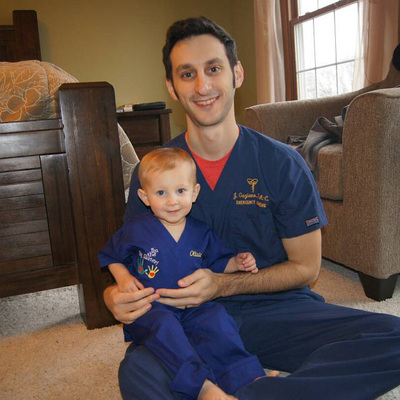 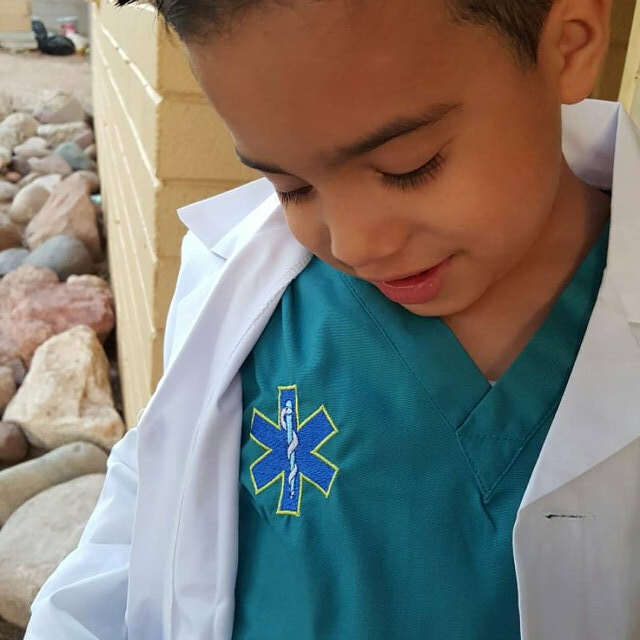 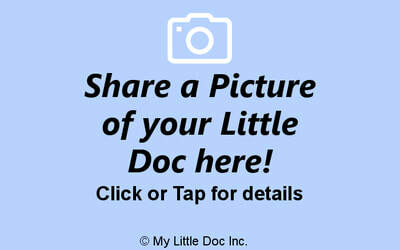 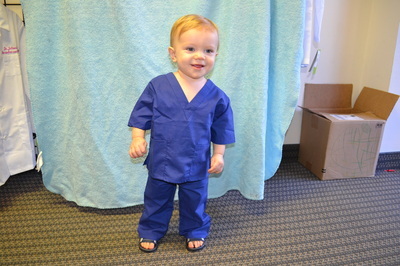 Your Little Doc will look so cute in these Navy Blue Toddler Scrubs! 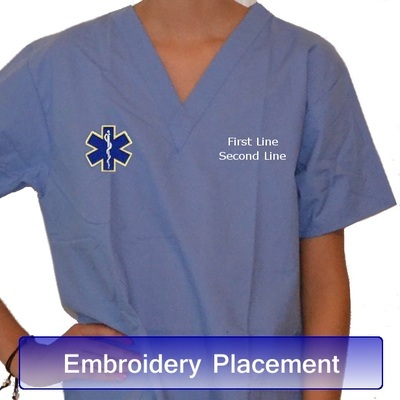 These are REAL Scrubs not inferior "Costume Quality" products that most of our competitors sell. 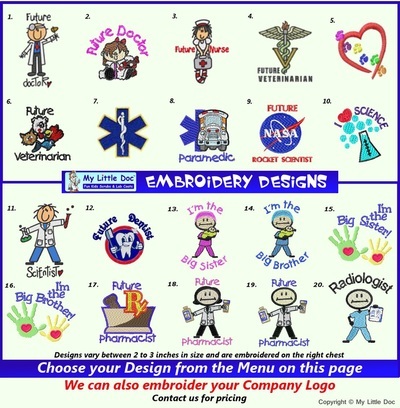 Yes Mom and Dad.......they are Machine Washable! 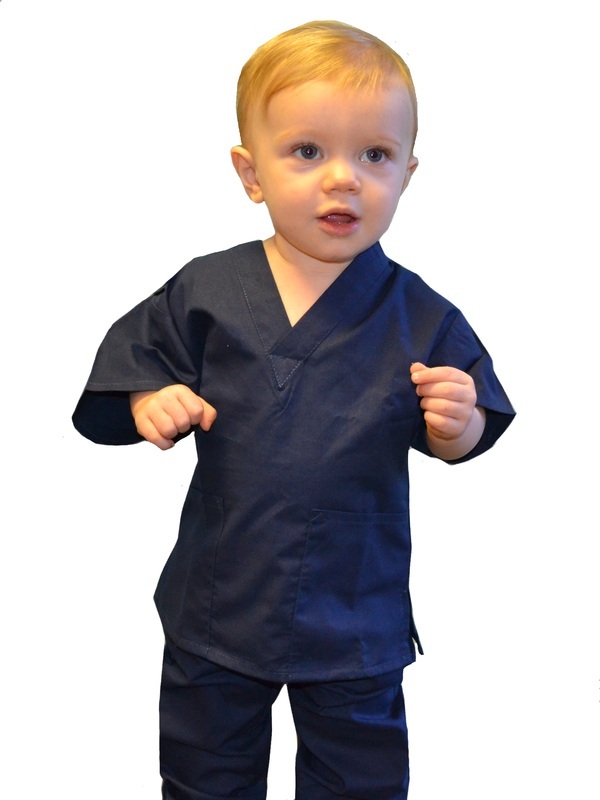 Navy Blue 3 Pocket Toddler Scrub Set. 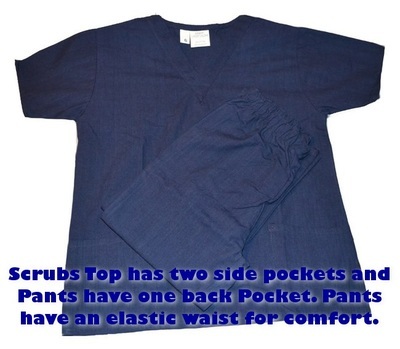 The Little Shirt has 2 side pockets and the pants have 1 back pocket. Pants also have an elastic waist for comfort. 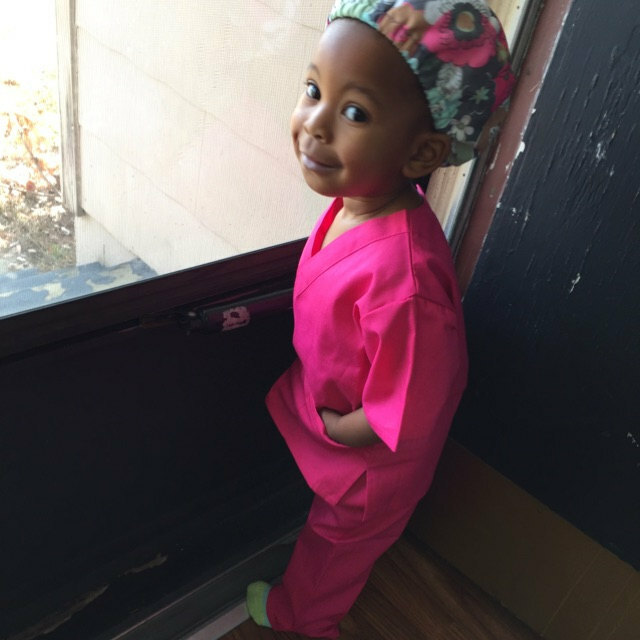 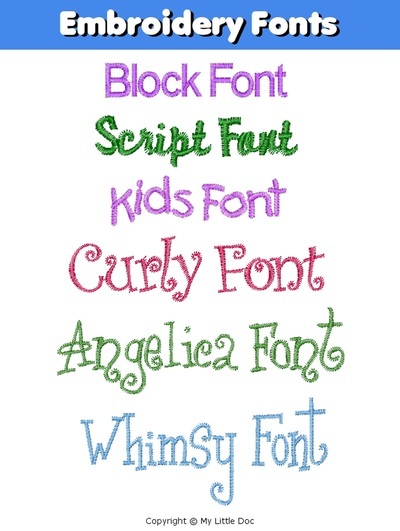 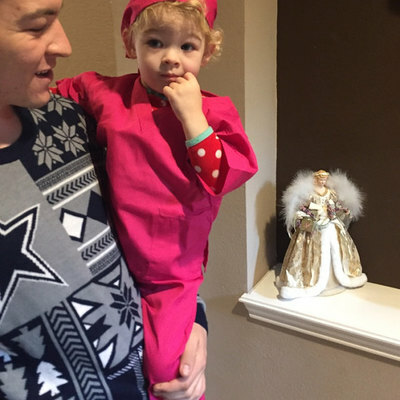 Our Toddler Scrub Sets are the same fabric and quality as our adult Scrub Sets. Embroidery entered above will be embroidered on the LEFT CHEST. 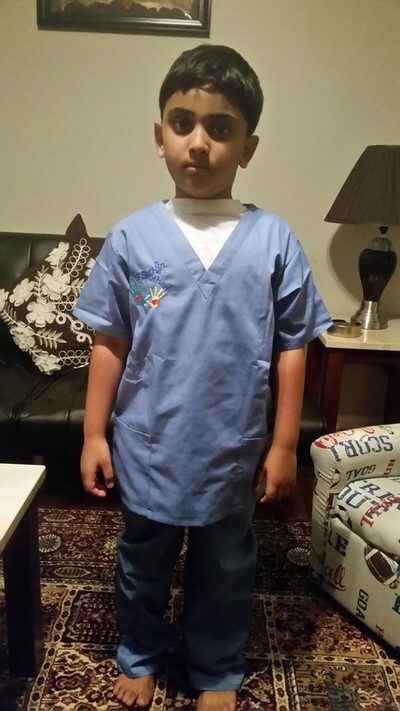 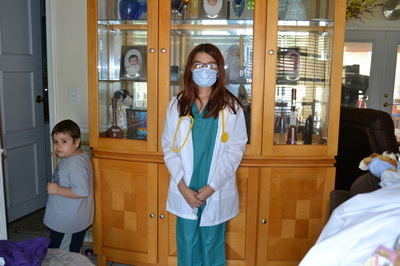 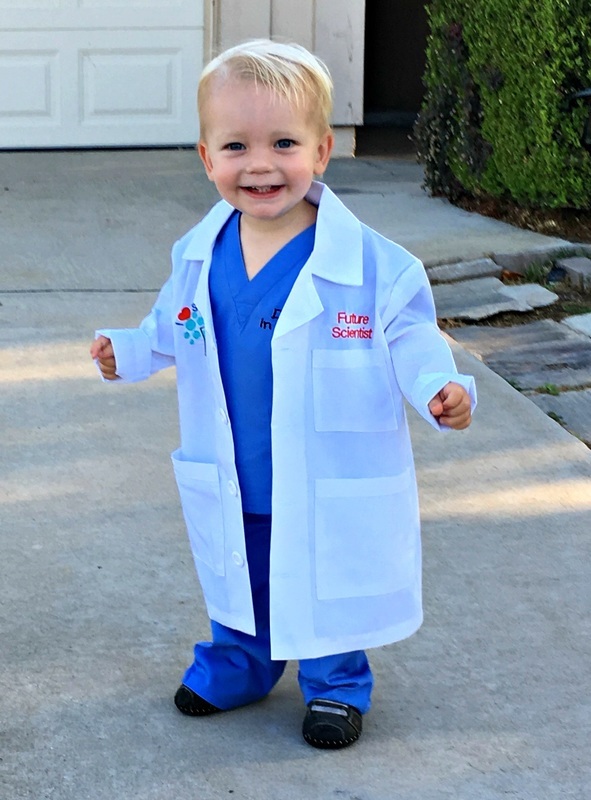 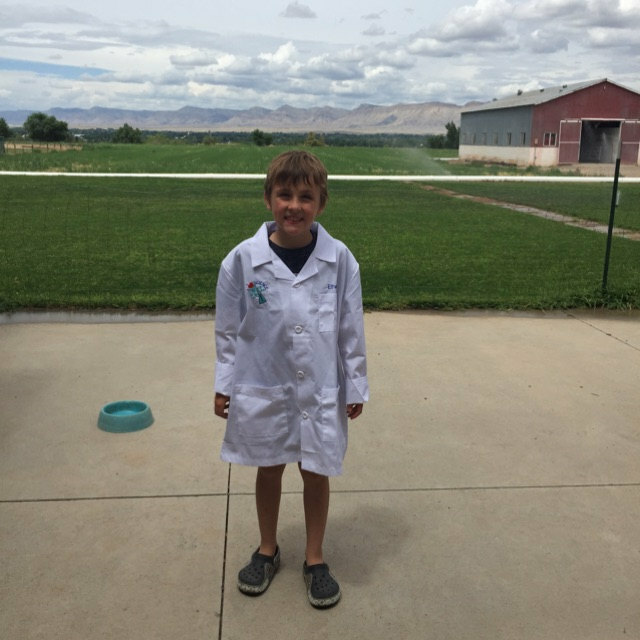 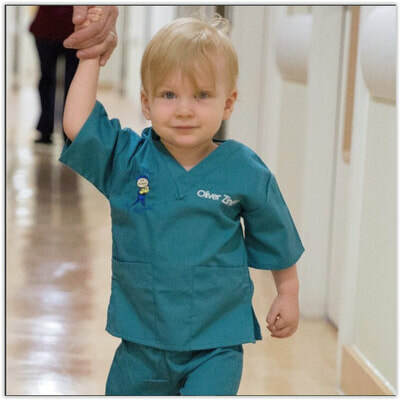 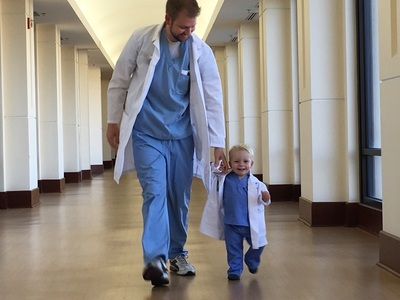 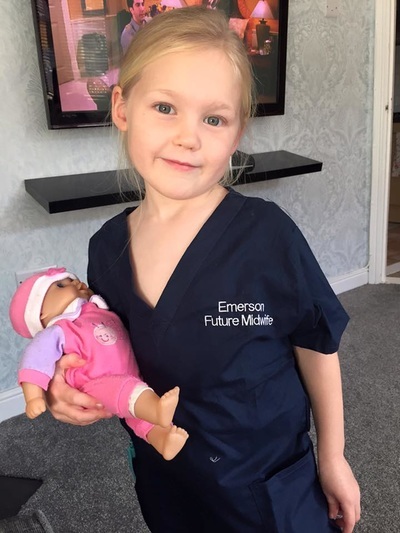 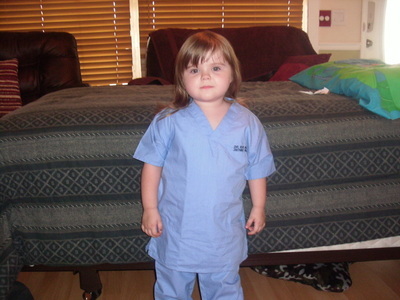 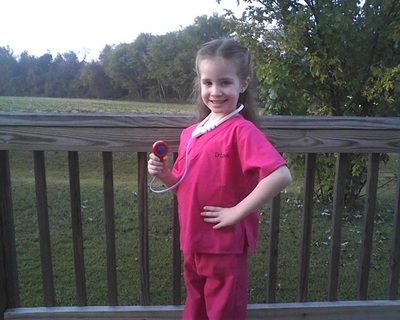 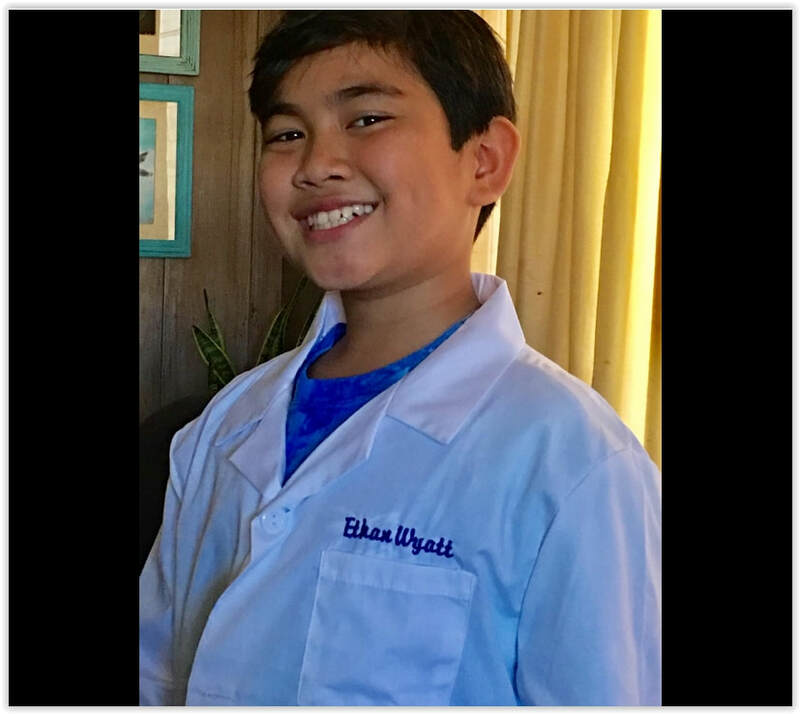 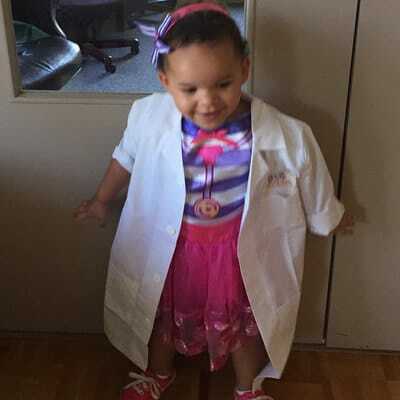 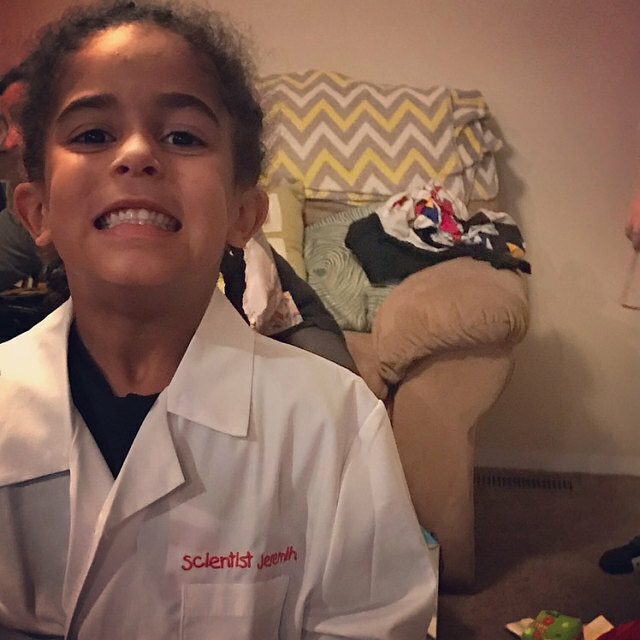 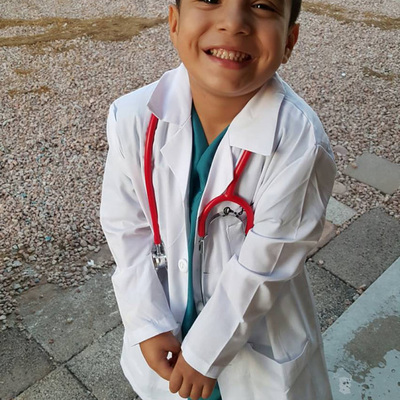 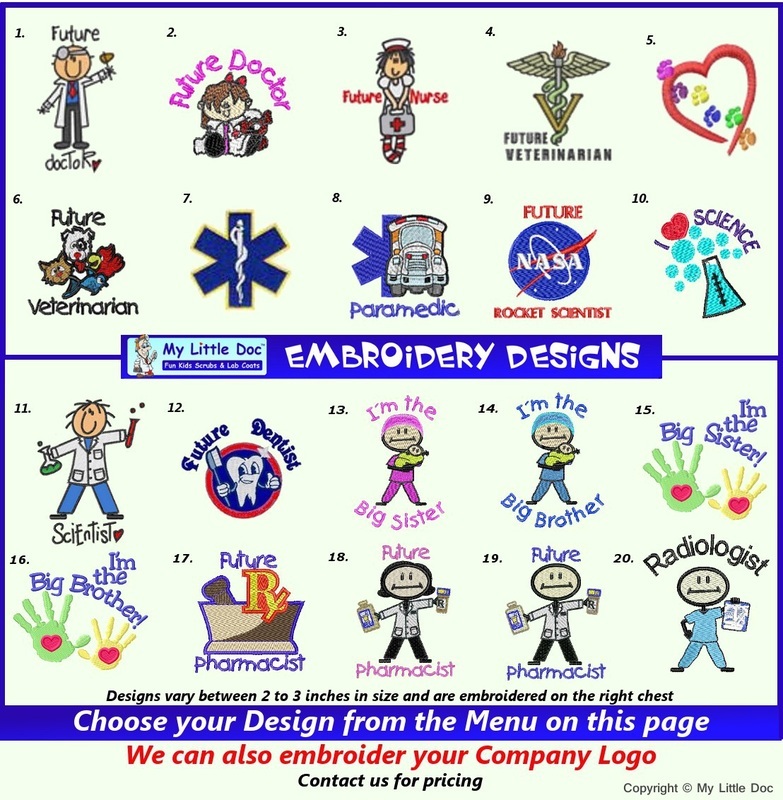 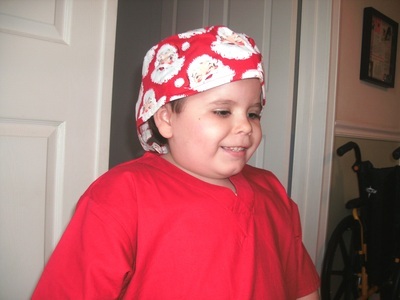 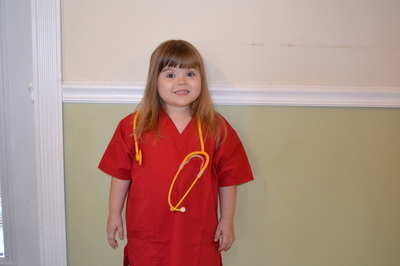 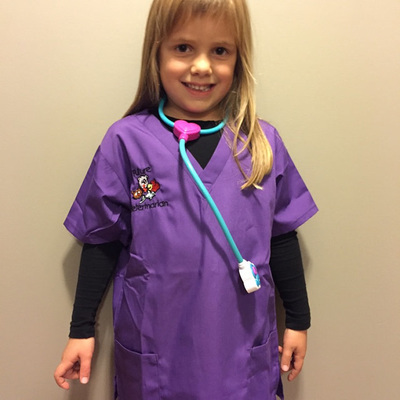 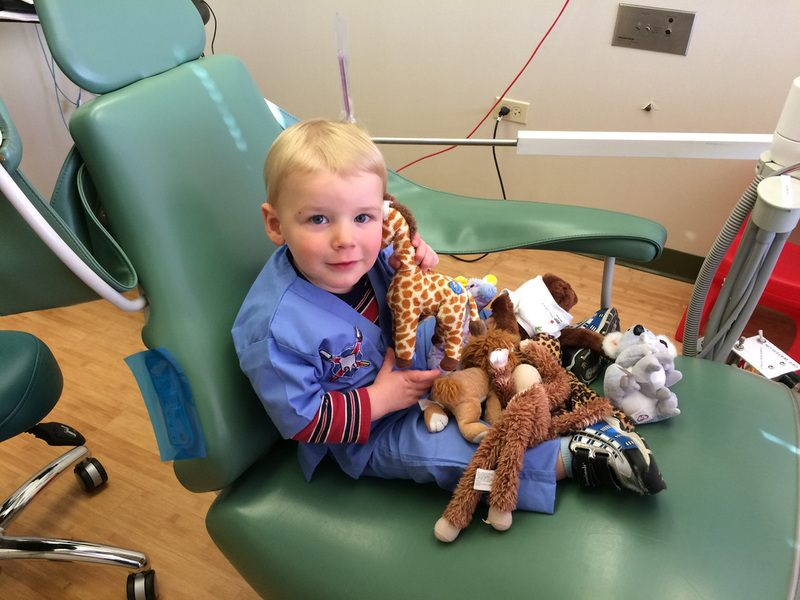 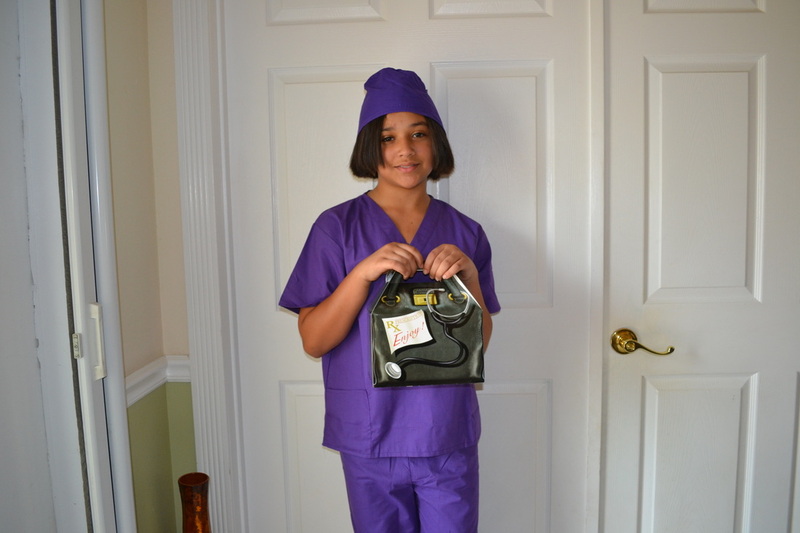 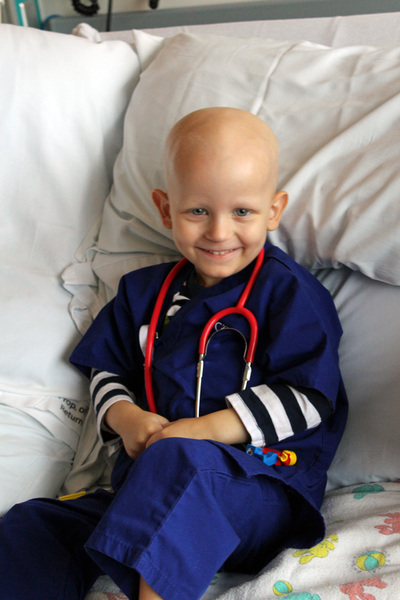 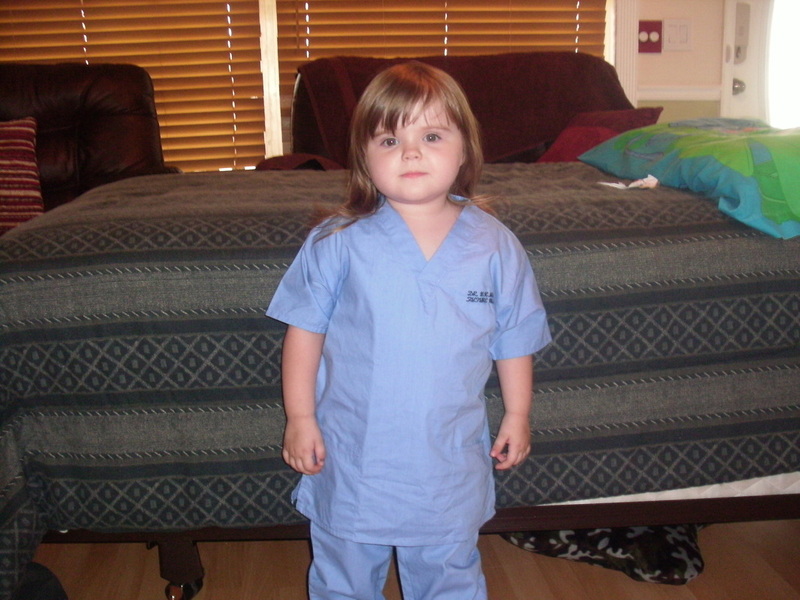 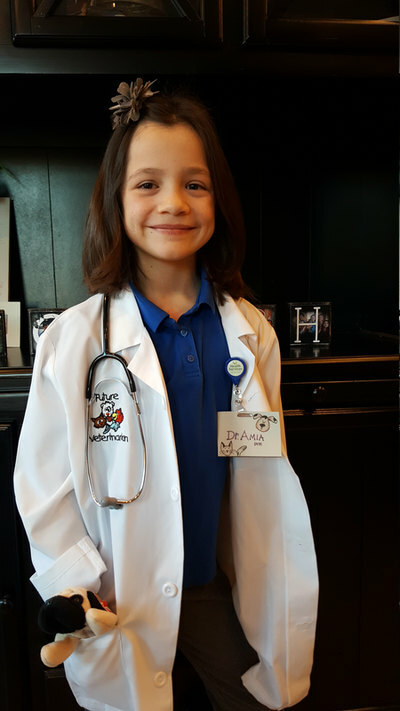 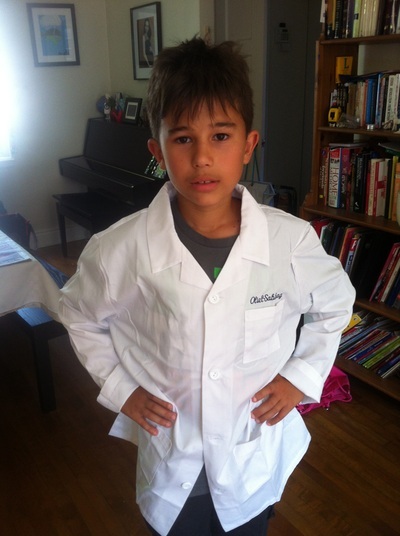 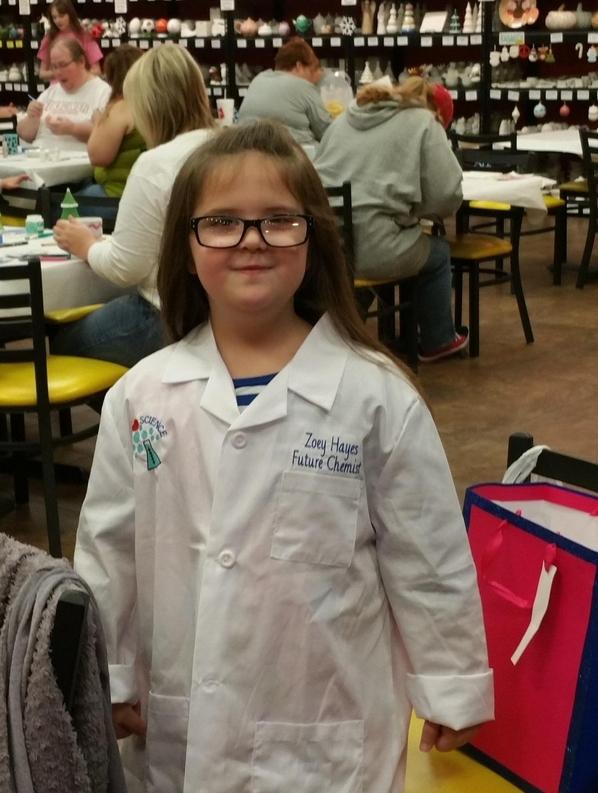 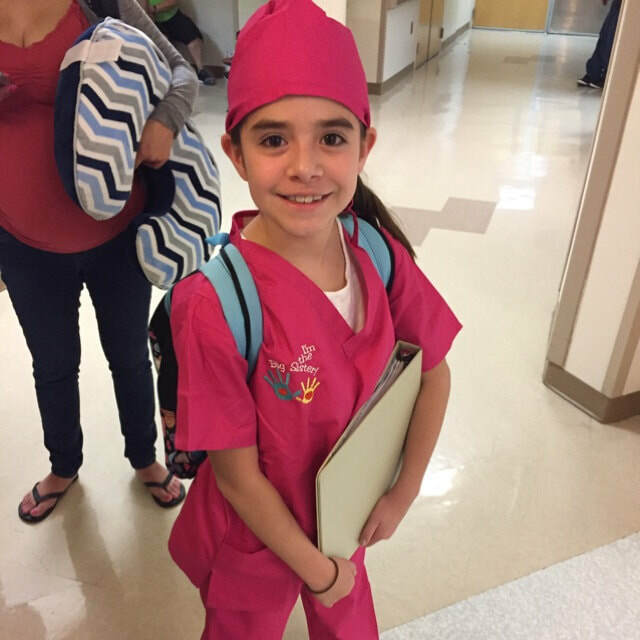 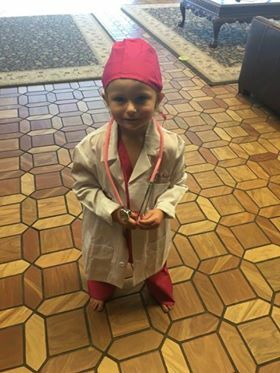 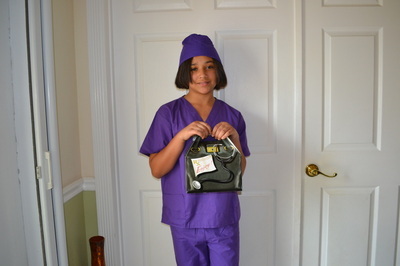 Our Scrubs are "True to Size" so we recommend ordering the size your child normally wears.